This is a 3-day workshop offered in Nunavut. Every year about 40-50 youth attend. Why are peer leaders needed? Teenaged youth who are considered “healthy” but are known to have experienced harm are being approached by other youth as a source of advice on “what to do next”. Youth trust other youth as a safe way to share their stories (both historical and immediate incidences). Our goal is to train these trusted teenagers how to help their friends. This issue was identified during community consultations, meetings with Elders and youth, and surveys. 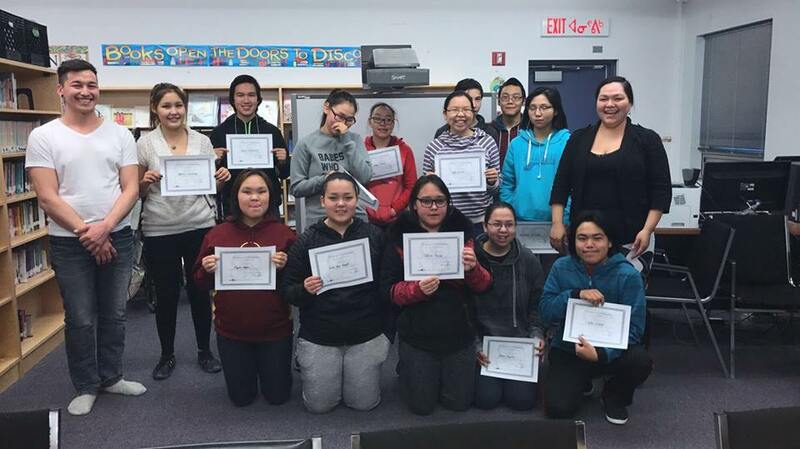 In 2018, the course will be available in Inuktitut and Innuinaqtun, and local facilitators will be trained in order to provide this program within communities. The course was developed in Nunavut and incorporates IQ principles and Inuit societal values.